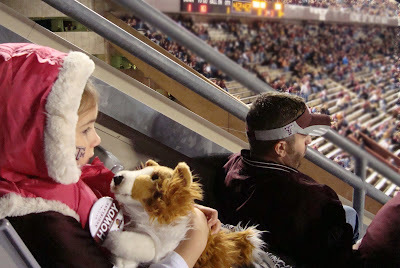 Rilyn went to her first Aggie game yesterday. Sadly, we lost (39-49) to a #3 ranked team (that will remain nameless), but we played hard and the game was very entertaining! 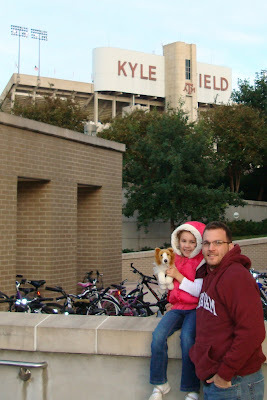 At times, I got emotional thinking of my oldest daughter walking around the campus where James and I met. 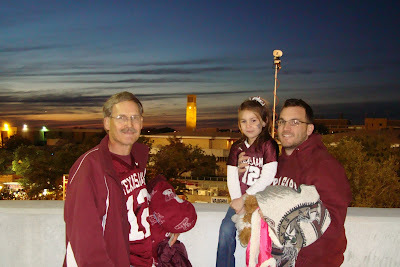 It was so neat to see her experience Aggie football-something James and I both love. She did great and stayed up the whole game (7 p.m. kick-off). 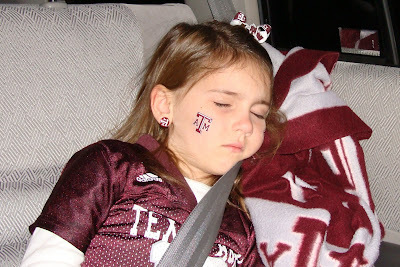 How could she sleep when Visor Guy is sitting in front of her? 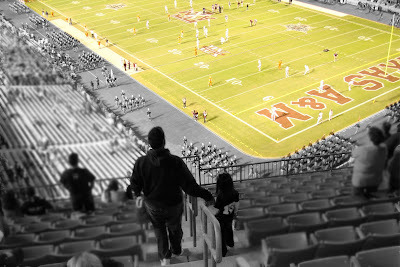 There was a long time out (like 10 minutes), because a player was hurt and it was very quiet in the stadium of 84,500 fans. 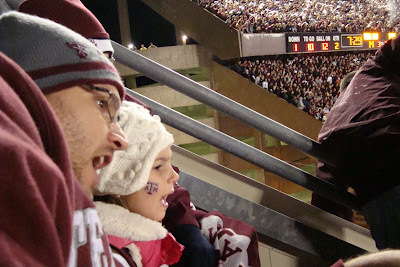 After awhile, Rilyn said rather loud, “Is he dead daddy?” We heard a few chuckles from the fans around. Then she said, “We should pray for him.” She proceeded to pray out loud for the hurt player. It was so sweet to hear.